Sir Moir Lockhead, chief executive of FirstGroup has met council chiefs to talk about plans to encourage more motorists to use Plymouth's park-and-ride services and help expand the city. Back in March 2006 First were running red Dennis Tridents on the service. The firm has been working with researchers at Plymouth and Aberdeen universities to study drivers' behaviour and identify which ones are likely to transfer to buses. He said without the city's three park-and-ride services there would be an extra 10 per cent of rush hour traffic each morning. The firm also raised issues, including a lack of space at the Coypool park and ride and how rail connections to the city could be improved. Sir Moir held talks with Plymouth City Council leader Vivien Pengelly and Cabinet member for transport Kevin Wigens, and afterwards told The Herald: "The city needs more people in it. The way to do that is to make access easier. Park and ride is the answer." He said the firm had been looking at research by Professor Jon Shaw at the University of Plymouth, who has been working with experts at the University of Aberdeen on a project about drivers' behaviour. "We are looking at things that will help us do what we are trying to do in Plymouth, which is to get park and ride growing and relieve the city of congestion," Sir Moir said. Marc Reddy, managing director of First Devon and Cornwall, said there was not enough parking space at the Coypool park-and-ride site, and Sir Moir said this could cause motorists to reject the bus. Milehouse park and ride was also "doing well" and the George Junction site had seen increasing numbers since the layout was altered to make the car park easier to enter. Mr Reddy also said the firm was still involved in plans for a "high quality public transport route from Deep Lane to the city" to serve the proposed Sherford development. 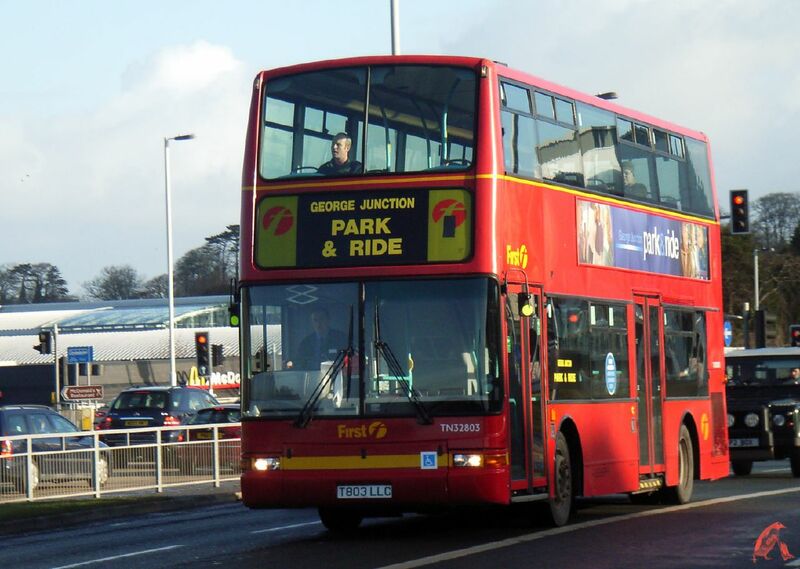 While Plymouth City Council is quite keen on the Park and Ride services I doubt very much if there will be any signigicant expansion of these in Plymouth in the short term at least. Money is tight and council are about to be hit with massive cuts. Transport in particular seems to be braced for the biggest cuts from central government with many major schemes already aproved by the previous administration now being told to stop as money is not available. It seems that the current East End Transport scheme is not affected as work is already underway so it seems we got in just in time on that one. What is clear is that council will find it a lot harder to support local bus services in the future so we can expect cutbacks. Even the cuts that are not directly aimed transport are likely to cause bus operators problems. Any increase in unemployment means less passengers which means that services end up being cut back by operators, only this time the council wont be so keen, or able to step in and breach the gaps. A Transport of Delight: No Contest A nice little video or the World Cup?